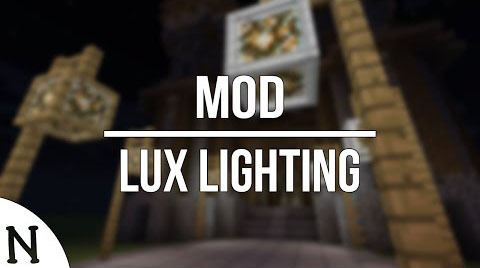 Lux Lighting Mod will probably make your Minecraft mod more sparkling by adding new ways of lighting your Minecraft world. Pretty simple. A small block that emits a decent amount of light when powered by redstone. A campfire that never burns out. Pretty neat. Currently, it just burns and does nothing else. A small candle made out of wax that, like the campfire, never burns out. Its light level is very low. Pretty nice looking blocks that can be used in a lot of situations. Maybe can be used as street lamps or something. Not really a lava lamp, but at least it has actual lava. Made from a combination of any two raw pork, raw beef, or raw sheep. Used to make awesome candles.